"My time in Monash has been a wonderful and worthwhile journey filled with loads of newfound experiences and memorable occasions. The plethora of knowledge gained throughout my Monash life has given me the opportunity to expand my knowledge far beyond my expectations while simultaneously enhancing my critical way of thinking. The engagements in group activities in and out of class momentously improved my cooperative skills as I learnt to work more effectively as a team. All the benefits gained throughout my course however would not have been easily attainable if it weren’t for the dedicated lecturers who devotedly sacrificed their time and effort in order to educate their students for the betterment of their students’ future. I therefore wish to thank my lecturers for their unwavering support and dedication throughout my journey towards achieving the Best Graduate Award. As an endnote, I would like to say that my precious Monash years taught me a priceless life lesson, which is “invaluable guidance, dedication and persistence are key aspects in life that should never be disregarded if one wishes to achieve their goals”. Keep reaching for your dreams and you shall be rewarded. " "The past 3 years in Monash University has been academically stimulating and enriching towards my personal development. Monash University's high quality education has given me the opportunity to gain a strong foundation through a positive learning environment which encourages participation, critical thinking and feedback. This has certainly helped to equip me with essential skills towards having a competitive advantage in the corporate world, and the landing of a job in a Fortune 500 company. I also had the opportunity to go on a one year exchange program to the University of Warwick as a Monash Ambassador, where I traveled to 14 different countries around Europe, gaining valuable insights into how European markets operate. I was also active in sports and had the privilege of representing Monash University for Ultimate Frisbee in MAPCU 2015, where we were crowned as the champions. Most importantly, I would like to thank God, my parents, family, teachers and friends for supporting and motivating me to be better in every aspect of my life. In conclusion, it is not the grades that are important but the education I received during my time here in Monash "Eng". Ancora Imparo!" "Past 3 years of study in Monash is simply enriching, to both my personal development as well as building a strong academic foundation. Monash has competent academic teaching resources to deliver quality education, which has substantially built a competitive edge for my current career. Academic aside, I am a big fan of extra-curricular activities and voluntary work. 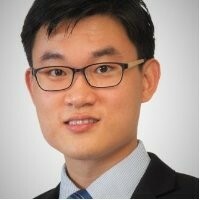 Being the President of Monash University Volunteer Program (MUVP) and the Project Manager of Monash Accounting and Finance Club (MAFC), I have developed good interpersonal skills, leadership skills and various essential soft skills. Besides, I value the opportunity offered by Monash for me to join the exchange programme in Warwick University, UK. It has helped me to gain valuable insights of different educational initiatives and a campus life outside my home country. I am honoured to be awarded as the Best Graduate for Bachelor of Business and Commerce. I appreciate all the support that was given by my lecturer’s, my family, my peers as well as my club committee members over the years in Monash. " 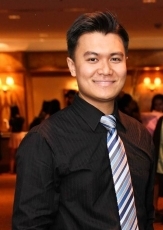 "Monash has taught me one thing, that is never be afraid to take on new challenges. The moment you stop challenging yourself, is the moment you stop growing and learning as an individual and leader. Always remember, growth and comfort do not always co-exist." 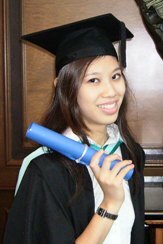 "Studying at Monash University exposed me to international teaching standards, with professional training that gave me a solid academic foundation. Allowing independent study and a culture encouraging discussion helped create a healthy open atmosphere. Skills learnt were sharpened through numerous projects and exercises similar to real-life working projects, which I continue to use till today in research, analysis and report writing within the field of public policy and socio-economic issues". 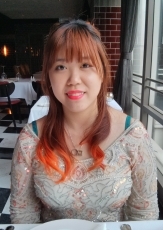 "Perhaps the most memorable aspect of my educational stint at Monash was the way the lecturers welcomed feedback and encouraged active participation in classes that otherwise have been pretty distinguishable from a classroom lesson in high school! This has created a breed of young, quick-thinking and confident workers with a higher propensity to think out of the ordinary. Monash's reputable teaching standards, established on the back of the University's strong emphasis on research and critical analysis, have also helped polish the intellect of thousands whithin or who have been in its fold - the sterling international assemblage of which I am proudly one. Indeed, you engage with Monash, you are engaging the world". 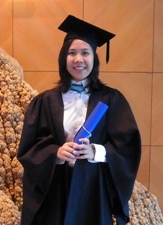 "My time spent at Monash University has challenged and thrust me forward to continuously upgrade myself. The relentless guidance of the lecturers and tutors, and the quality of the learning materials are truly of world class standard which has prepared me with the essential foundation, skills and the right attitude to compete in the working world. Studying with so many brilliant students has motivated me to keep up with the best. Undoubtedly, my experience at Monash University has been a valuable life lesson which I will certainly bring with me to my future undertakings". 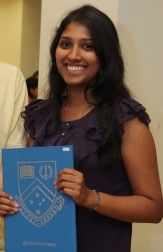 "I started off in Monash with high expectations, but Monash had even higher expectations of me! The challenging assignments and the relentless lecturers served as a constant motivation not only to achieve but to outperform and excel. The high standards and quality of education with proficient lecturers have rewarded me with a vast expanse of knowledge, and the positive learning environment has encouraged me to step forward and take an active role in my own education. Being a Monash material has given me a sense of accomplishment, the recognition and the ability to continue standing tall through the hardest and the most gruelling times in my career". 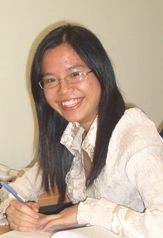 "My experience at Monash has definitely improved my research skills and have better prepared me for a research based career. The honours program has exposed me to different research methodologies, both qualitative and quantitative. I was also given an opportunity to attend a conference during my one-year program, which allowed me to gain communication and presentation skills along with a greater understanding of my research area. 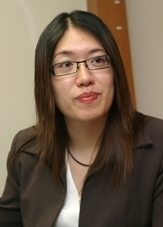 The passionate lecturers, helpful supervisors and friends have made this experience invaluable to me." 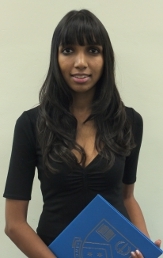 "The Honours degree of Business and Commerce opens doors to countless possibilities. Whether you aspire to be an industry player or an academician, the rigorous training provided by the program propels you towards your goal. "Challenging" is the perfect word to describe my experience. It is like nothing I've ever gone through before. The program demanded my best efforts but it also provided freedom of ideas which built character and independence of mind. It was a journey of self-discovery. Perhaps the best part of my experience was the brilliant, good-hearted friends and mentors I've made along the way. We are a big part of each other's intellectual growth. And we had a lot fun too. The Honours program is demanding. It builds intellectual freedom. And it's fun! This is one path I'm glad I chose." 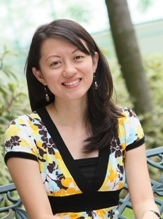 "My experience with the postgraduate program at Monash University, was both intellectually stimulating and immensely rewarding. The program equipped me to handle the steep learning curve with self-discipline and excellent time management. Through this program I have developed more robust research etiquette and critical thinking. I am immensely grateful for the support and guidance from my mentors and the University throughout my journey"
"I had a truly engaging and wonderful experience at Monash. The lecturers' expertise in their fields of knowledge created a highly intellectual learning environment for students, and projects were designed to develop the knowledge and interpersonal skills needed in today's competitive working environment. Being in an international university, I also had the opportunity to interact with people from other parts of the world. 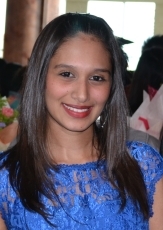 The learning experience has also equipped me with the best tools to strive in my workplace". 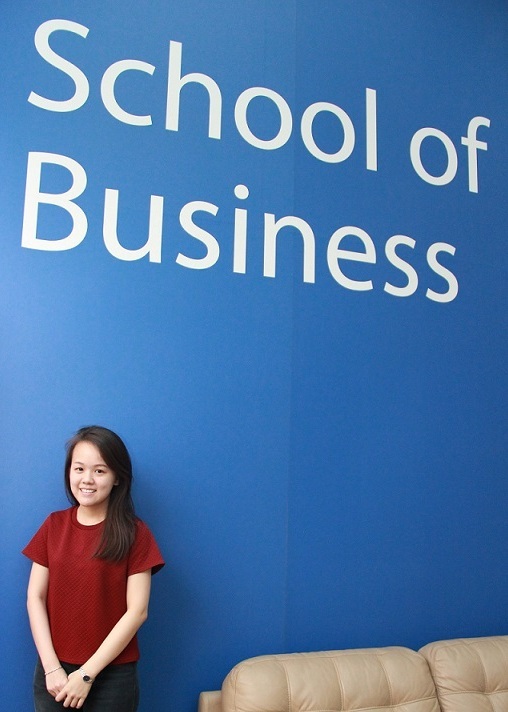 "My Monash experience is one of the best. The faculty is outstanding, lecturers were phenomenal - consistently engaging and always eager to answer our questions. The level of discussion and learning is extremely high, and the ideas presented are challenging and inspiring. The classes were brilliant and the social hours were a learning experience too. The entire Monash experience has opened up many new horizons for me at a personal and now, at a work level. 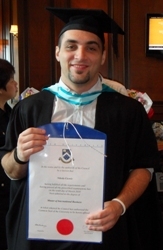 Thank you Monash for giving me the greatest intellectual experience of my life". "I couldn't have asked for a better University. I was greatly satisfied with the units I took for my course as the subjects were very interesting, the assignments intellectually stimulating and the lecturers were wonderful. During my Honours year, I realised how supportive the staff in the research office of the School of Business were. They were extremely helpful and the facilities were excellent. I was blessed with the opportunity to present at a conference in Melbourne, which wouldn't have been possible if I had not been sponsored by the School of Business". 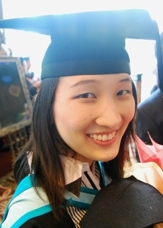 "I had spent the most enriching time of my life at Monash. The mixture of cultures and people of all races and nationality combined with the world-class teaching standards and environmentmake Monash a great place to study and gain experiences. The spirit of cooperation and the competitive environment on campus encouraged collegiality, cognitive thinking and accomplishment of tasks with the higest quality. The experience has also helped me developed my public speaking and research skills,which helped me a lot in my career. I am proud to be a Monashian. Thank you Monash for an inspiring experience" . 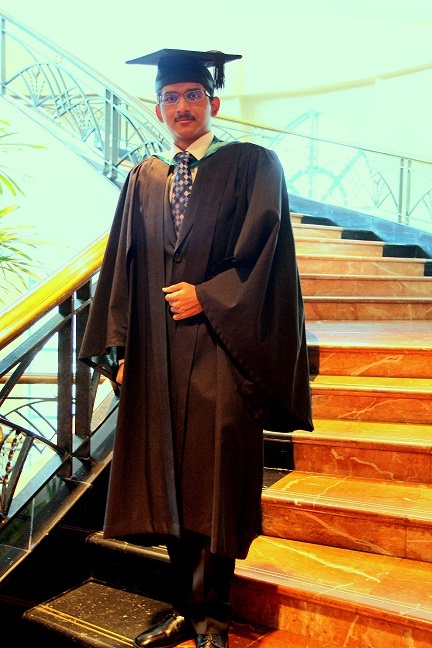 "Upon completion of my bachelors degree, I worked as a Senior Research Executive at the Nielsen Company (Malaysia) (formerly known as ACNielsen (Malaysia)), one of the world's leading market research firms. My Monash experience has indeed prepared me for the working world, armed with the necessary knowledge and soft skills required for my work. Thus, when I decided to pursue my PhD, it is without a second thought that I would return to my alma mater, and I look forward to this new experience". "My experience at Monash University equipped me with the necessary skills and knowledge to perform in my chosen industry. It helped me develop the right attitude of seeking solutions and answers independently and prepared me to handle the challenges faced at work. 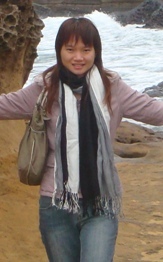 Also, the internationally diverse environment at Monash helped me adapt to the global commercial world". "I believe most of us have skills but they need to be polished and taking 'Master of International Business' has done that to my skills and qualities. The course proved to be extremely transformational and has changed me for better. The knowledge I gained through it, has helped me in finding the career and equipped me with the understanding of business in 'International' settings. 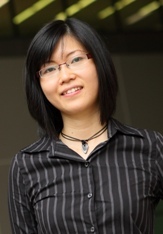 Being a part of Monash has also provided me with a vital network of alumni and professors which will remain as my source of knowledge in future." "The Master of International Business from Monash University has given me the training and development needed to excel in my career. Classes were interactive and lecturers consistently engage us in face-to-face discussions. The "international" element of this course has exposed me to the various ways businesses operate in the international arena. I had the opportunity to network with both local and international coursemates who are excellent people with different experience and educational/professional background. I am confident that the knowledge I have acquired through this course has prepared me to tackle the business world and with this degree, I strive to lead a team in a multinational organisation or to become a successful entrepreneur in the future". "Overall, I find this course extremely helpful in my current job. I am able to take the knowledge that I have gained from this course and apply it in real life business situations. This has helped me tremendously in completing my work projects".